Tomorrow is the big day! 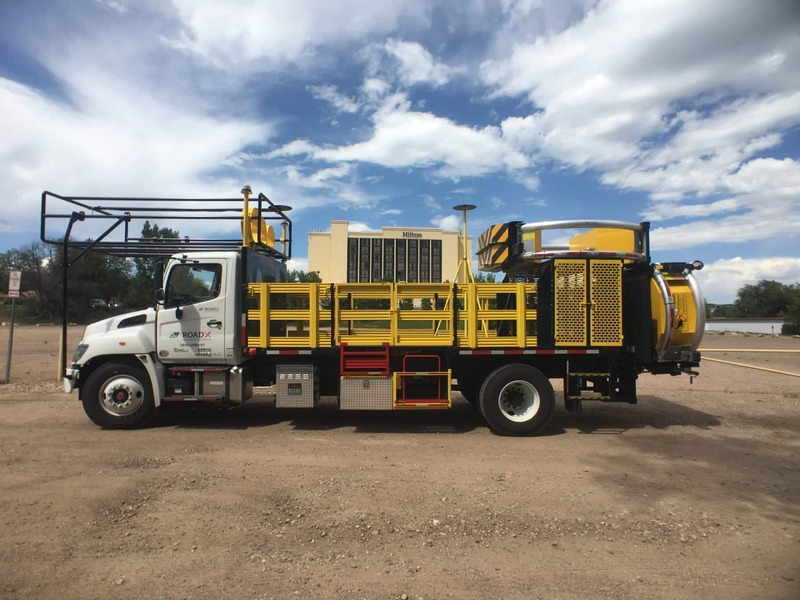 We will be doing a live demonstration of the autonomous impact protection vehicle (AIPV) being deployed in a live highway work zone in Fort Collins, Colorado. If this is your first-time hearing about the AIPV, we have plenty of resources available to get you brought up to speed! For those who do not know, we will be live streaming the entirety of Friday’s events from our social media accounts. Here is what you can expect to see during our live streams. The live stream will begin at 3:30 p.m. EST showcasing several important speakers. It will begin with Shailen Bhatt, the executive director of Colorado DOT, discussing CDOT’s role in being the first to unveil the AIPV in a live work zone. The next person in line to speak will be Martin Knopp, the Associate Administrator for Operations for the Federal Highway Administration. He will discuss the role of autonomous technology in increasing safety in work zones. We are excited to announce that the next person to speak is none other than our own Rob Roy, President of Royal Truck & Equipment. Amongst other things, he will explain all the testing that the AIPV has already gone through and why we at Royal believe this autonomous technology is vitally important to increasing safety in work zones throughout the world. The press conference will then conclude with Mayor Wade Troxell of the City of Fort Collins, Colorado, where the live demonstration is taking place. Just as on-site members of the press will be asking questions throughout the press conference, you too can ask questions via the live stream. While we cannot guarantee that your question will be answered by someone at the event, members of the Royal Truck & Equipment team will be actively answering questions in each of the live streams’ chat functions remotely. Immediately following the press conference will be the live demonstration of the AIPV. For the live demonstration of the AIPV, we will be deploying the truck to do a striping operation on Centre Avenue in the city. What those watching via live stream can expect to see is a two-vehicle operation. The first truck, the Leader vehicle, will be human driven and will be applying paint striping to the center of the two-lane road. The second truck, the Follower vehicle, will be the AIPV and will not have a driver. 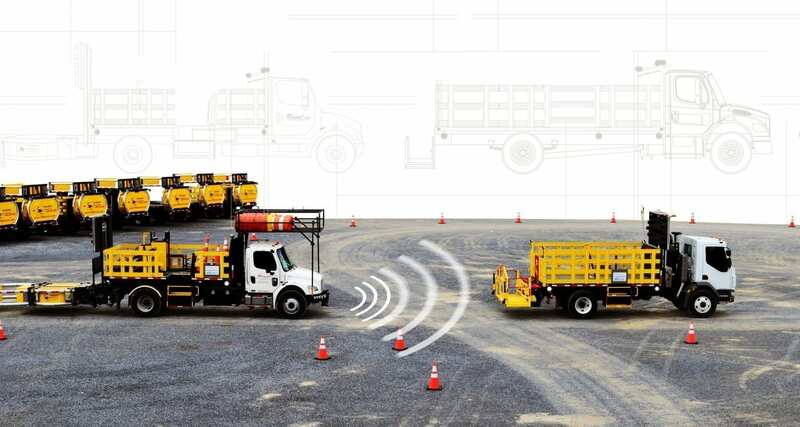 It will be following the human-driven truck autonomously, making sure to follow at the appropriate distance to allow for adequate roll-ahead distance in the event it is struck by an errant vehicle. Overall the live stream of the press conference and live demonstration of the AIPV will last a few hours. For the entirety of that time, you will be able to ask any questions about the AIPV you can think of and a member of the Royal team will answer as soon as possible! Now that you know WHAT to expect for tomorrow’s AIPV demonstration, it’s time to tell you WHERE you can watch it. You can find the links to all the live stream broadcasts on the Autonomous Page on our website. With that being said, we hope you allot time in your schedule tomorrow to watch a truly historic event in work zone safety!